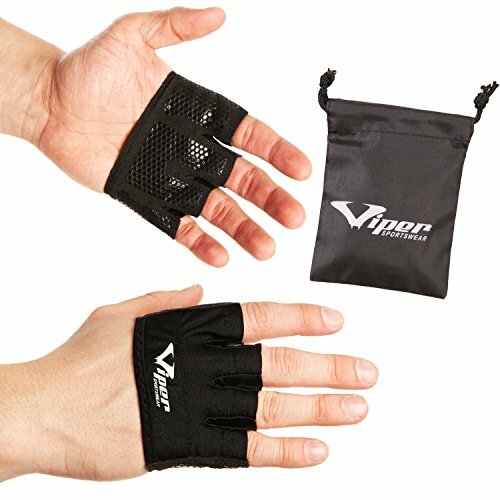 ✅ IMPROVED PERFORMANCE – Get better grip on weights and improve your lifts, do high volume pull ups & other intensive workouts, or conveniently perform deadlifts or olympic lifts – Our wrist wrap gloves help take your performance to an all new level while offering effective padding for palms, fingers & thumbs. 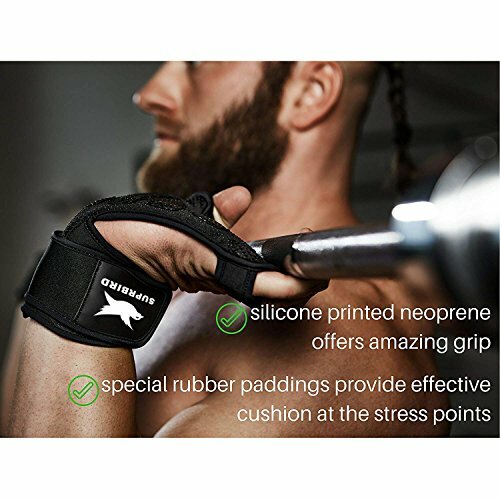 ✅ ENHANCED SAFETY – Eliminate risk of slipping dumbbells/barbells due to sweating or poor grip, better support your wrist during weightlifting, and prevent injuries. 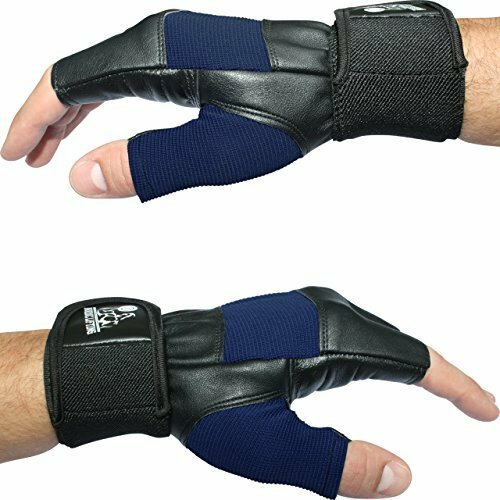 Our workout gloves or weightlifting gloves offer SUPERIOR GRIP through SILICONE PRINTED NEOPRENE & generous patches of special rubber padding. 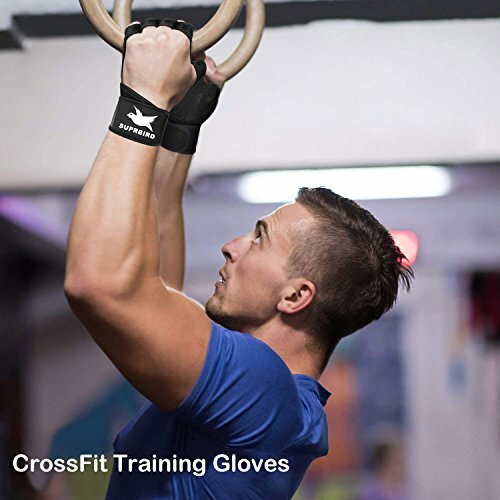 ✅ HIGH BREATHABILITY & DURABILITY – Our suprbird gear with open hand design offer sufficient air circulation, reduce sweating & discomfort, discourage growth of odour & even reduce the need for frequent washing – this also helps prolong the life of the crossfit gloves. 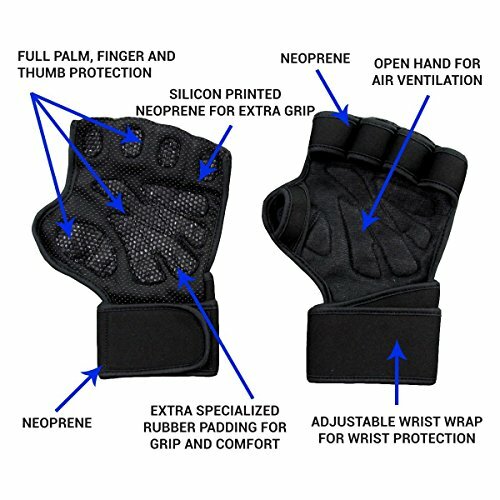 A good workout requires dedication, effort and the right pair of gloves. 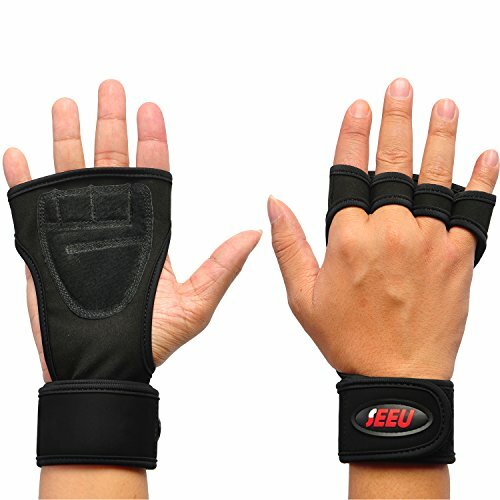 That’s because protecting your hands when you’re lifting, doing pushups or pulling a drag rope is important for reducing calluses, sores and damaged skin. 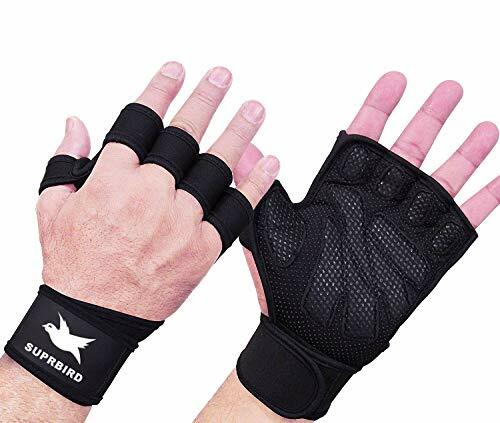 Get yourself a pair of SUPRBIRD Workout Gloves and you’ll not only keep your hands safer, you’ll reduce stress and tension on your fingers, wrists and joints. 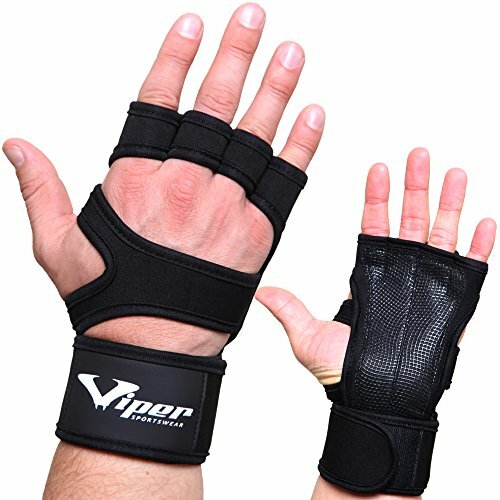 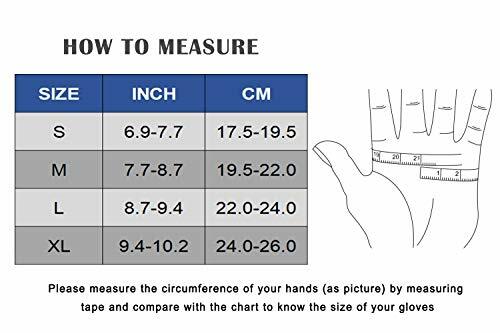 ✅ MULTI-USE For BOTH MEN & WOMEN – These wrist support lifting gloves are ideal for Crossfit WODs, power, strength, high intensity, olympic lifts, weightlifting, pull ups, push up, chin ups, dumbbells, deadlift, benchpress, kettlebells, rope climbing, bodybuilding, powerlifting and etc. 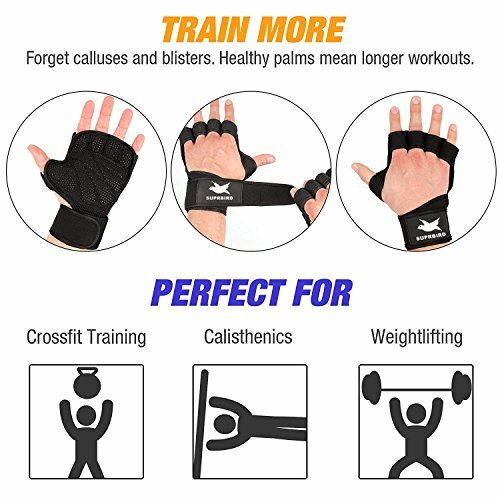 exercises. 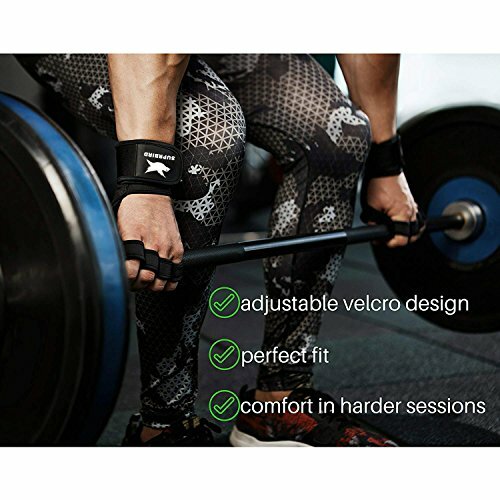 Try them today, if somehow you aren’t 100% satisfied, we’ll give you your money back no questions asked!